Tongs are an incredibly useful tool for outdoor barbeques. But if you have been trying to make do with your standard kitchen tongs it can make you come up short, literally. Regular tongs just aren't long enough to use near the hot grill without the hair on your arm getting singed. 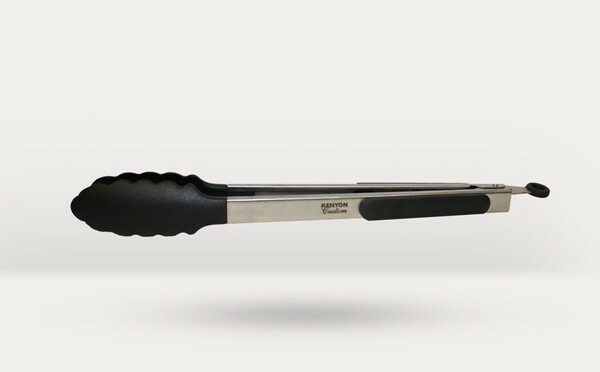 These stainless steel tongs have a soft grip handle so they won't slip out of your hand when you are trying to pick up a delicate piece of food. They are heat resistant and will grasp tightly to corn on the cob or hot dogs. This item is also sold as part of The Grill Utensil Kit.